Let’s see today the Lasithi highlights. Agios Nikolaos is the capital of Lasithi prefecture, built on the west side of the Gulf of Mirabello. The name comes from the Byzantine church in the bay of Agios Nikolaos. During the Turkish occupation, Agios Nikolaos was uninhabited. 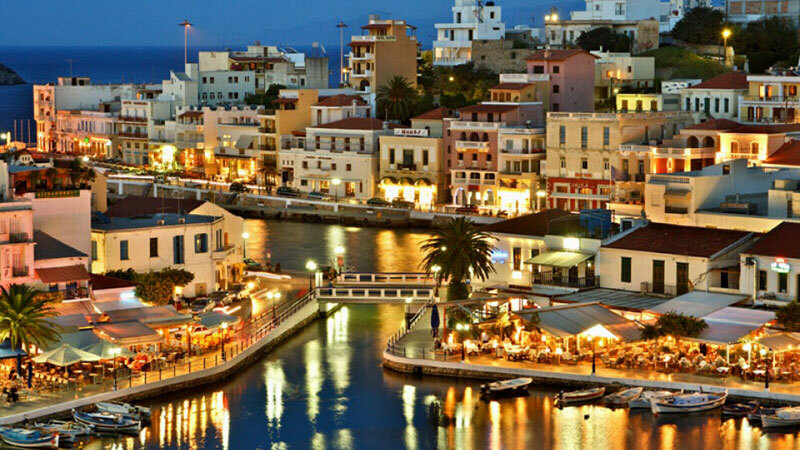 It is a picturesque and popular resort and is considered the most developed tourist town of Crete. Lasithi offers its visitors many attractions, and also very organized tourist facilities, inspired by the Cretan hospitality. 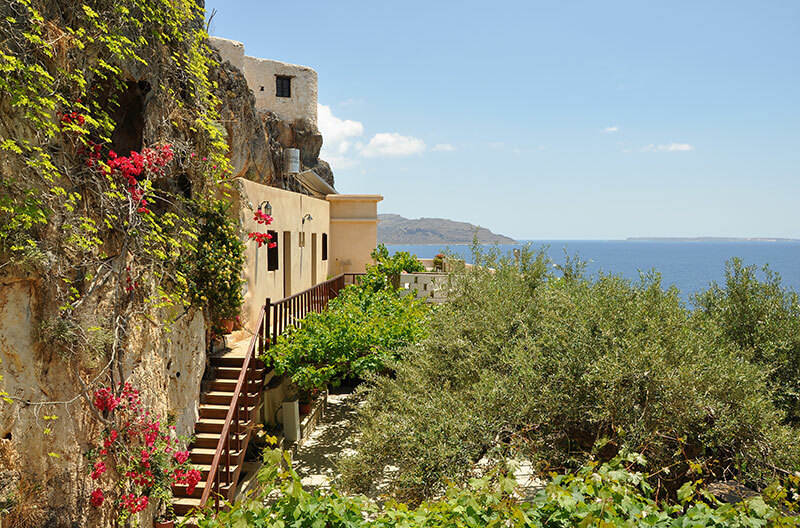 Looking for accommodation in Agios Nikolaos? 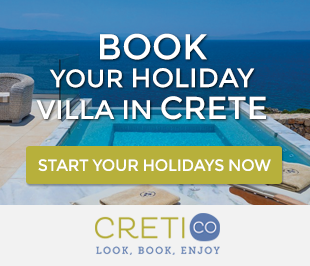 Check out these Holiday Villas in Agios Nikolaos! 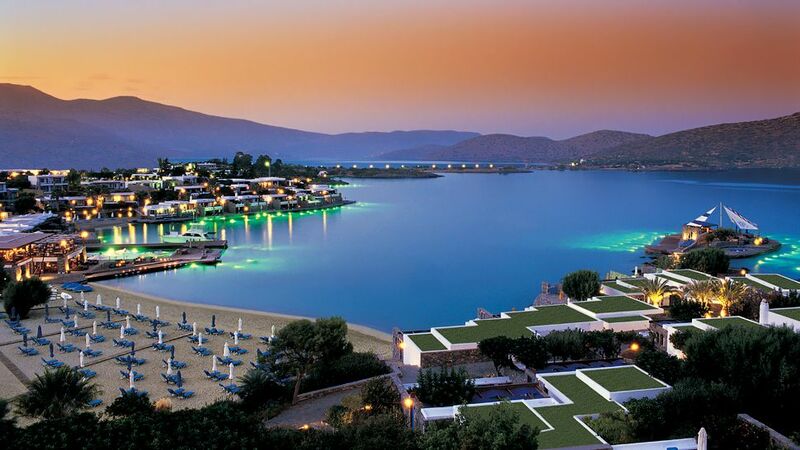 Undoubtedly, Elounda is one of the most popular Lasithi highlights. It is a settlement built over a beautiful bay, in a landscape of incomparable beauty, just 10 km north of the city of Agios Niklolaos. It was a prosperous city as well as an important commercial center in all historical periods. The beauty of its landscape combined with its beautiful beaches and clear waters have made Elounda a cosmopolitan destination. It has a very significant tourism infrastructure and luxurious hotels, often choosed by celebrities from Greece and abroad. Apart from its natural beauty, the most important sight of Elounda, just one kilometer away, is the ruins of the ancient city of Olous. There, the visitor can admire the Basilica of Poros with wonderful mosaics and the Basilica of Kolokytha, with its exquisite white marbles. 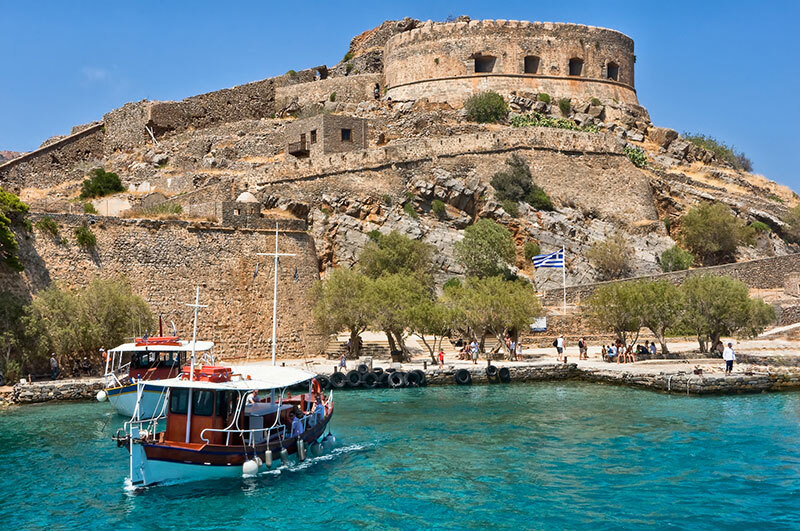 Spinalonga could not be missing from the list of the Lasithi highlights! It is a small island at the north of Elounda bay. In ancient times, the name of the island was “Kalydon” and renamed “Spinalonga” during the Venetian conquest. The name derives from the “spina lunga”, meaning “long thorn”. Its strategic location has marked the island in the history as a fortress to protect the port of Elounda. In 1905 it was used as a Leper and all the lepers of Crete were brought there since 1913, when Crete was united with Greece. Since then, lepers from around the country arrived in Spinalonga. That’s why the island was marked as the International Leper of Europe. During the German Occupation, Spinalonga was perhaps the only place in Greece that conquerors never arrived. Access to Spinalonga can be done by boat from Elounda and Plaka. The visitor can see the Venetian vaulted tanks, the building of the garrison, the powder keg in the church of St. Nicholas, and the homes in which lepers lived. 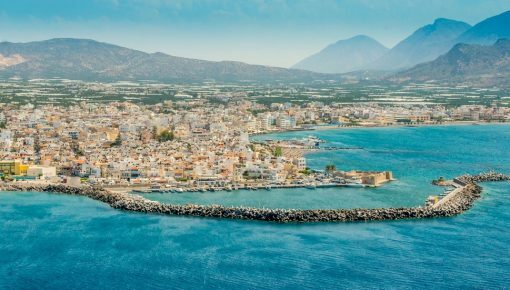 Ierapetra is very special, since it is the southernmost city in Greece and Europe and also the largest city of Lasithi and the only urban center of southern Crete. It is also the warmest city in Greece, with an average annual temperature of 20 degrees. Being favored by its position, it has always been an important center for the island and has played a very important role in history. Today is one of the most productive areas of the country and an important source of vegetables and olive oil, contributing significantly to the development of the region. Although it is a modern urban center, Ierapetra has countless beauties and sights that invite visitors to become acquainted with it. Some of these are the Kales Fortress in the port, the Archaeological Museum housed in the Ottoman Commercial School and the church of the Lord Christ which is the oldest church in the city. Access to Ierapetra can only be done by road, through the road that connects it with the other cities of Crete. 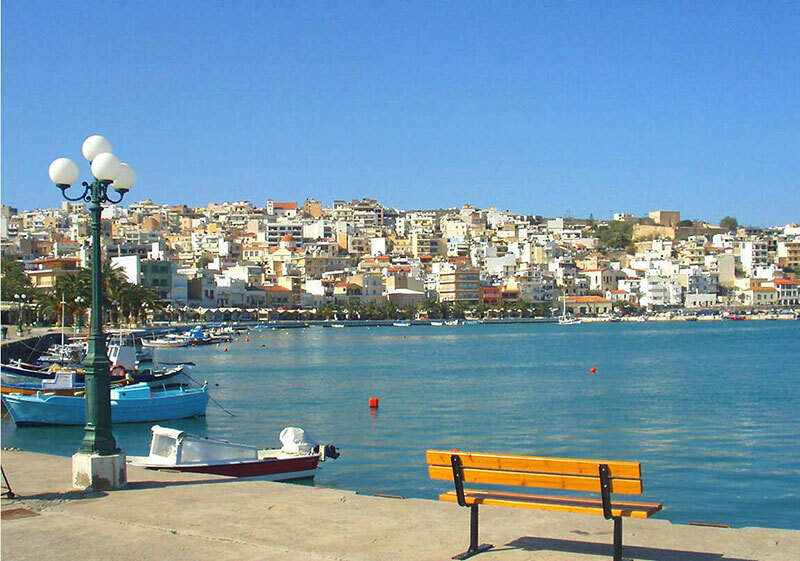 One of the most important cities of Crete, Sitia, located at the eastern end of the north coast of the island, in a beautiful bay, just 64 km from Agios Nikolaos, in a very beautiful natural environment with caves, canyons and clean beaches, many of which have been awarded with the blue flag. Both in Sitia, and the wider area, there are scattered monuments with archaeological sites, early Christian churches, Venetian walls and Ottoman place names which show the rich history of the area and offer plenty of attractions for visitors. The most important are the Kazarma, an imposing medieval fortress, the Liopetro fort in Hamezi, the Venetian villa in Etia, the ruins of the Hellenistic settlement Trypitos and the Archaeological and Folklore museum,. You can reach Sitia by road, by sea directly from Piraeus port and by air with direct flights from Athens to Sitia airport. Occupying 250 acres, Vai is the largest palm grove in Europe. According to legend of the region, Arab pirates came here with their ships, ate the dates they had with them and threw the seeds in the soil from which sprouted about 6000 palm trees. Vai is one of the most popular Lasithi highlights and simultaneously one of the most beautiful and unique locations throughout the Mediterranean. It was discovered only in the 1970s by hippies who were persecuted from Matala and found the area in search of a new haven, turning the area into a free camping area. The next decade, however, Vai was declared as a protected area. Today it has a clean beach, which has been awarded the blue flag. The biodiversity of Vai is also interesting, as many migratory birds stop on their journey to and from Africa. You can reach Sitia by road. It was established in 1970 having as a primary purpose to display findings from eastern Crete, which until then were transferred to the Archaeological Museum of Heraklion. 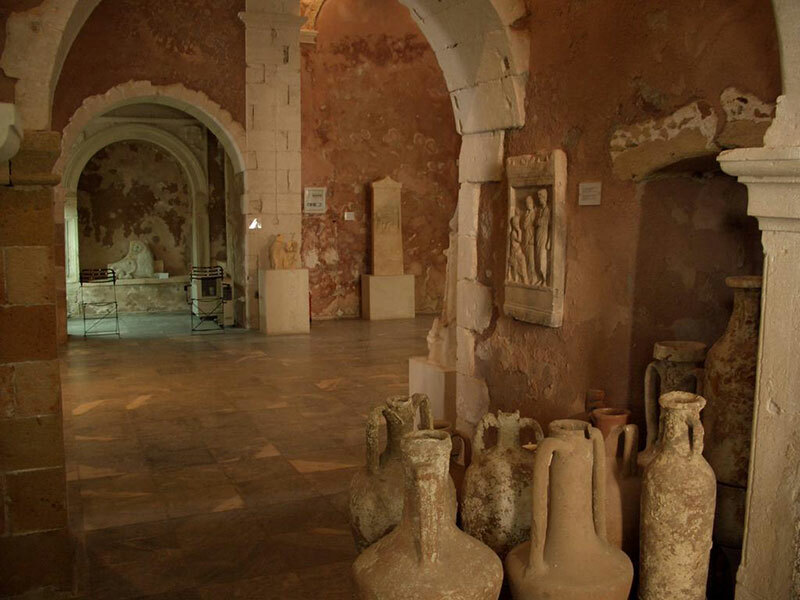 It includes eight halls with collections which are continuously enriched and cover the Neolithic, Minoan and Roman times, giving visitors the ability to learn about the cultural development in the region over the centuries. The most important collection is displayed in the first room of the museum, which includes more than 1,600 finds from the cemetery of Agia Fotia near Sitia, a prehistoric cemetery with 260 Minoan tombs, the largest excavated in Crete. Great interest presents also the second room in which is exposed the most famous exhibit in the museum, the “Goddess of Myrtos”, a libation vase in the form of the goddess. Other important exhibits is the skull of a young athlete who is crowned with a golden diadem and in his mouth was a silver Roman coin and the findings from the Minoan palace of Malia. The Archaeological Museum is located in the city center. The 24 windmills are located in Seli Ampelou, in Lasithi Plateau, just 52 km east of Agios Nikolaos and 3 km west of the village Tzermiado. 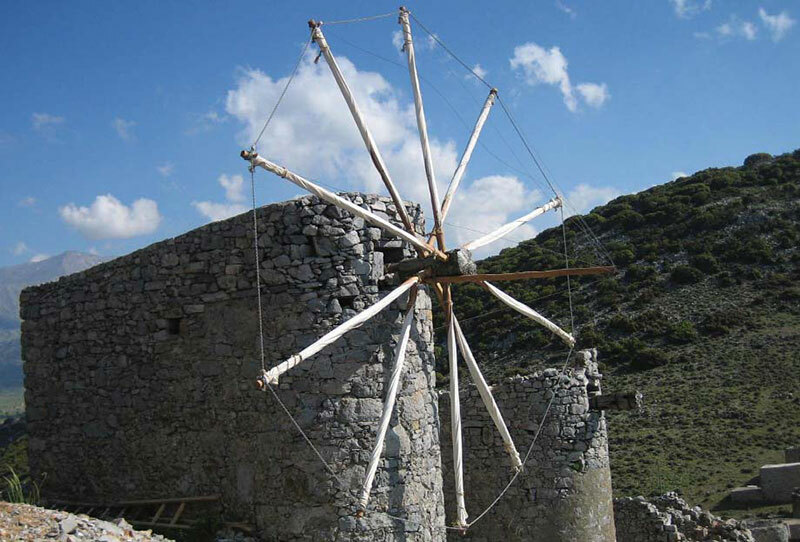 Built at the north entrance of the plateau, these stone windmills are among the Lasithi highlights. The windmills have a horizontal axis system and vertical fins, which can be rotated manually, depending on the wind direction, so as the fins to use as best as possible the force of the wind. The windmills were built during the Venetian conquest and in the years that followed were used by the locals for grinding. The complex of mills was characterized in 1986 as a work of art and today most of them are privately owned and in very good condition. The fourth largest palace of Minoan Crete, the palace of Ancient Zakros, is located in a strategic point, approximately 100 km from Agios Nikolaos. Apart from administrative and religious center, it was a very important trading center, which is evidenced by findings such as faience, ivory, copper etc. 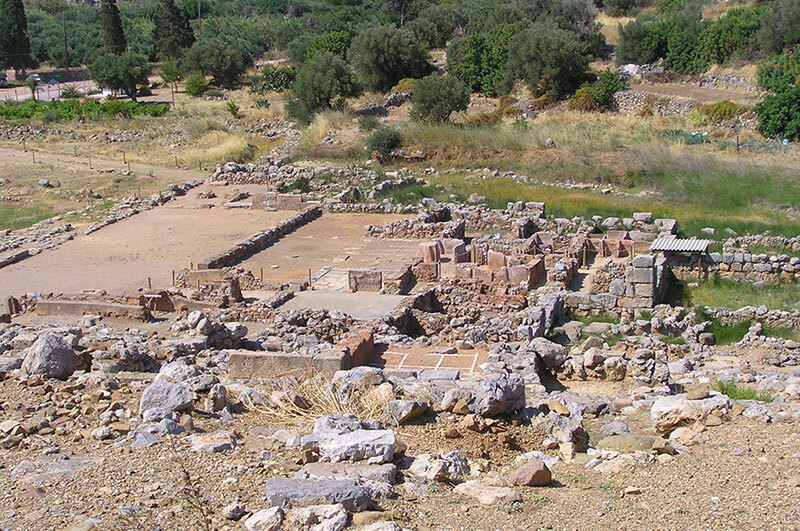 The palace was built in two phases, the first was around 1900 BC and the second in 1600 BC and was destroyed probably like the other Minoan centers in 1450 BC. It is estimated that the area occupied together with its annexes was over 8,000 square meters and included about 300 apartments. The main entrance is at the east side, while the second, leading to the port, is located on the northeast side. The excavations that began in the 1960s revealed the ruins of the palace, and the findings are hosted in the Archaeological Museum of Heraklion. 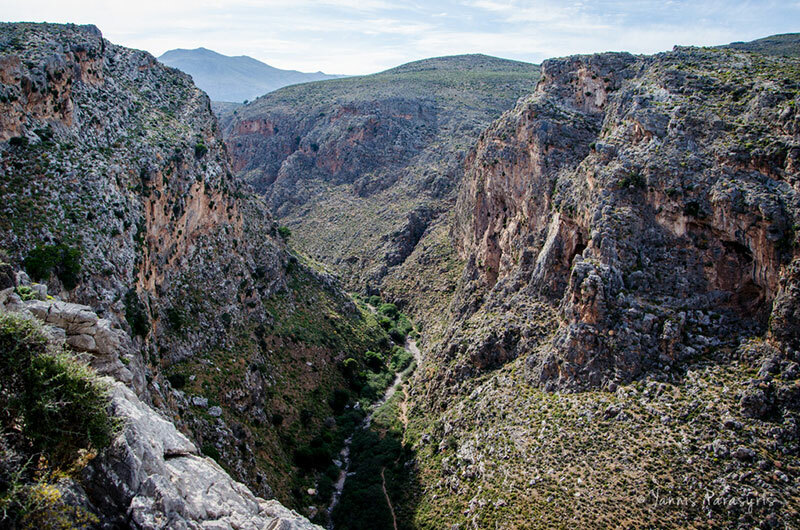 A short distance from Ano Zakros and just 100 km from the town of Agios Nikolaos begins in length of 5.5 km long, the Gorge of the Dead or Gorge of Zakros. This is an exceptionally beautiful canyon, whose walls are large caves, which, during the Minoan Age were used as tombs. Another unique feature is that you don’t need to walk again to reach the starting point, since the gorge ends at Kato Zakros and there is the possibility to return back to the starting point. The beauty of the landscape combined with historical significance, attracts large numbers of visitors every year. Access can be made by road and there are regular bus routes leading to the area. The Kapsa Monastery or Monastery of St. John the Baptist is located in a magnificent landscape of wild beauty on a steep rocky slope in the area of Makrigialos, just 67 km southeast of Agios Nikolaos. It is dedicated to the Beheading of Honest Head of Saint John the Baptist, celebrated on August 29. Probably it has been built during the 15th century. Much of it was destroyed in 1471, when the Turks attacked the monastery from the sea and in the years that followed, the area passed into the hands of various conquerors, one of whom was called Kapsas and thus the area became known by this name. Four hundred years later, the monastery was restored by the monk Joseph Gerontoyannis. During the Second World War the Kapsa Monastery was a center of resistance against the Germans and offered refuge for Greeks and English resisters. In addition to the pilgrimage, a good reason to visit the Monastery of Kapsa is the natural landscape which offers a great view of the Libyan Sea. It is easily accessible by the road leading from Makrigialos to the Monastery. 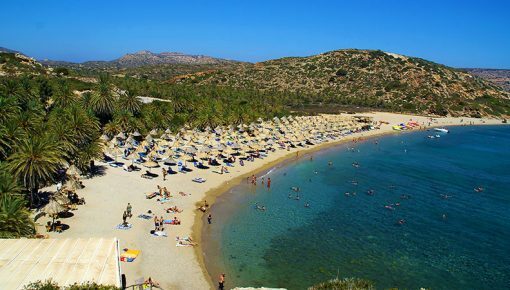 Both in Agios Nikolaos, and the rest of Lasithi, there are endless beaches, organized or quiet, in the Libyan or Cretan Sea. Located less than one kilometer from the center of Agios Nikolaos, is the municipal beach of the city, very well organized, in a sheltered trick from winds. In Elounda you can find organized beaches located north and south of the harbor, such as the famous Kolokytha (Pumpkin). 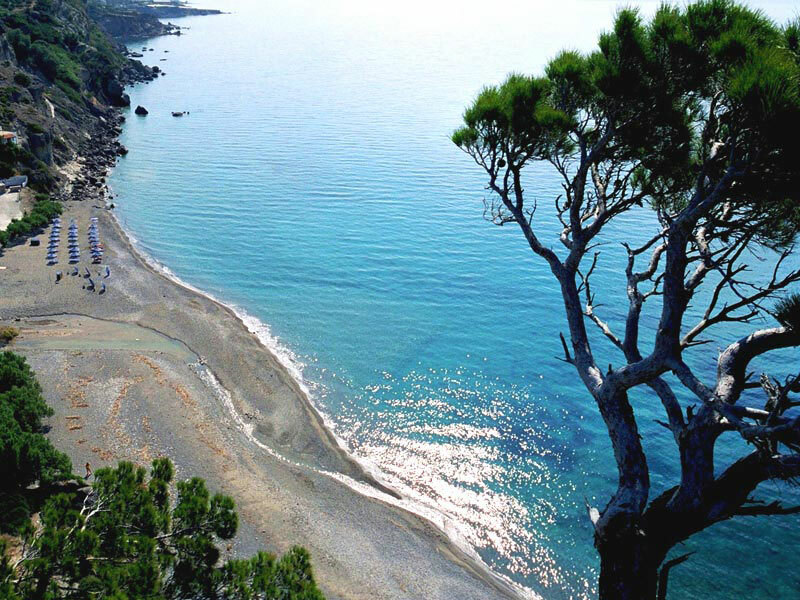 Agia Fotia, one of the most favorite beaches of all Cretans is located 45km southeast of Agios Nikolaos and 12km east of Ierapetra, in Ferma area. Plaka, a few miles north of Elounda also has 2 beautiful pebble beaches overlooking the island of Spinalonga, one of which is organized. 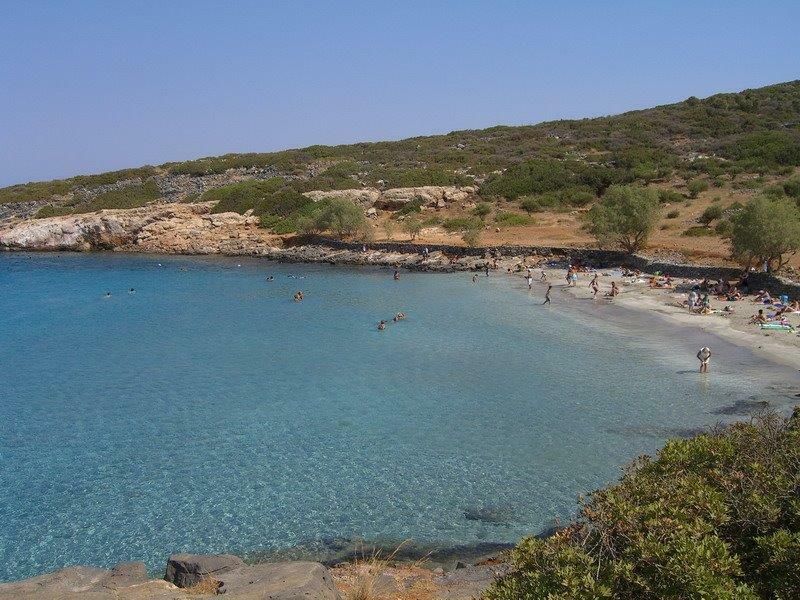 The beach “Boufos” 26 km northwest of Agios Nikolaos is a small sandy beach, in an open bay where are often giant waves created, offering an amazing spectacle. 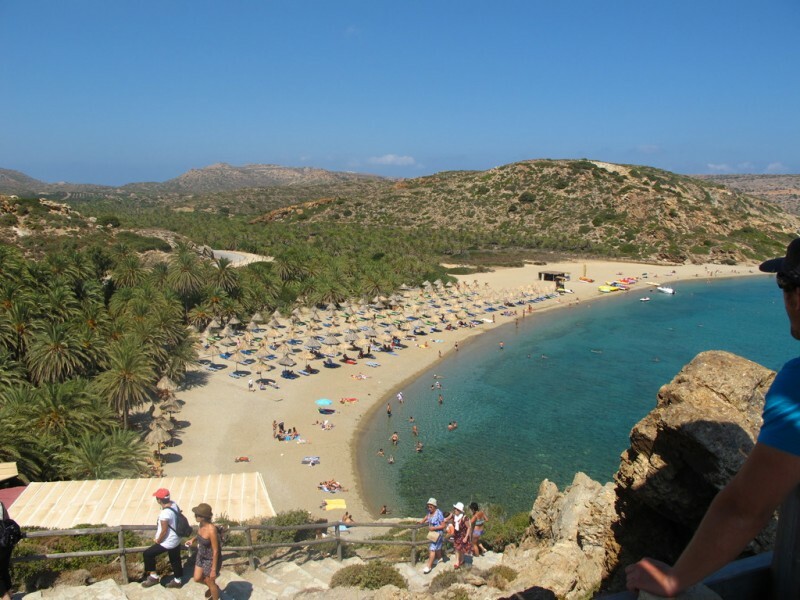 Xrysi beach, certainly one of the Lasithi highlights, is one of the 81 uninhabited islands of Crete and is only about 8 miles south of Ierapetra. Locals call it “Gaidouronisi” or simply “the Island”. The length of the island is 5 km and width of 1 km. The highest point is called Kefalas and it is at a height of 31 meters. It is a paradise with beaches of golden and white sand, crystal clear waters, olive trees and countless small shells along the coast! There is no doubt that the Lasithi highlights will excite you and you will never forget this place! As for accommodation, many villas in Lasithi may offer you privacy, comfort and all the facilities you need. 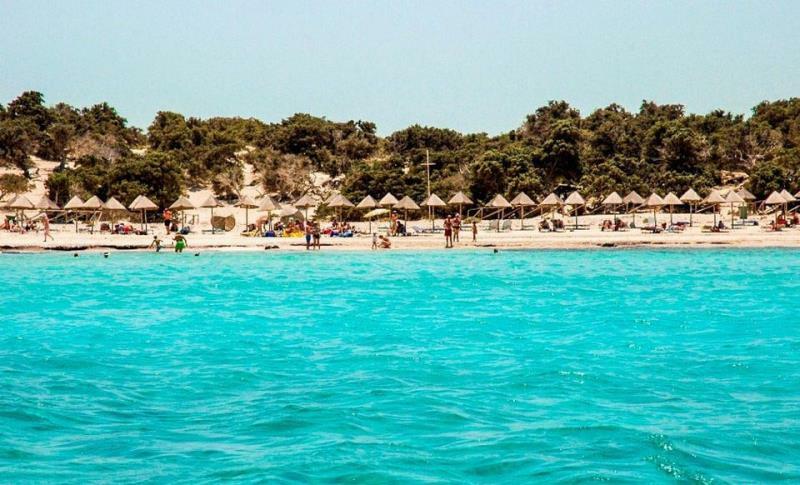 Posted on 27 Mar 2015 in Lasithi and tagged Agios Nikolaos, Beaches In Lasithi, Chrissi Island, Elounda, Ierapetra, Kolokytha Beach, Lasithi, Lasithi Plateau, Makrigialos, Plaka, Sitia, Vai.